The Costs Lawyer Journal is the UK's only dedicated legal costs publication. The features are written by industry experts and are designed to inform and educate readers, so that they can remain at the forefront of their profession. The Journal is published bi-monthly and is supplemented by weekly e-bulletins. 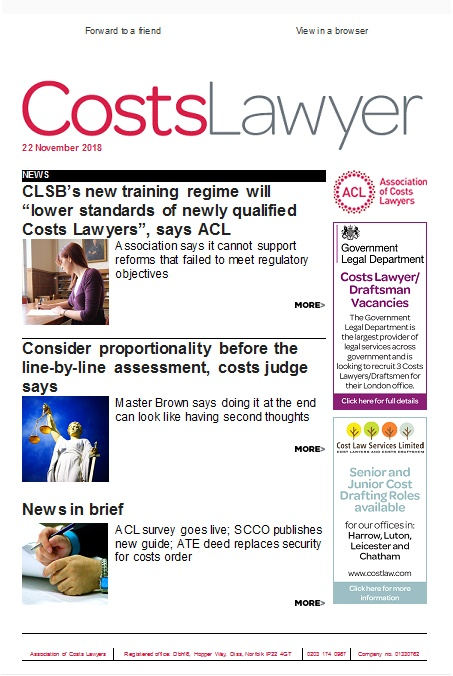 Only ACL members and other subscribers have access to all previous issues of the Costs Lawyer Journal. 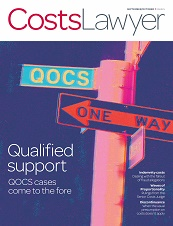 To subscribe to the Costs Lawyer please fill out the subscription form. Please find information about how to advertise in the Costs Lawyer. Please find information about how to advertise in the eBulletin.